This professional model is a must for any commercial space. 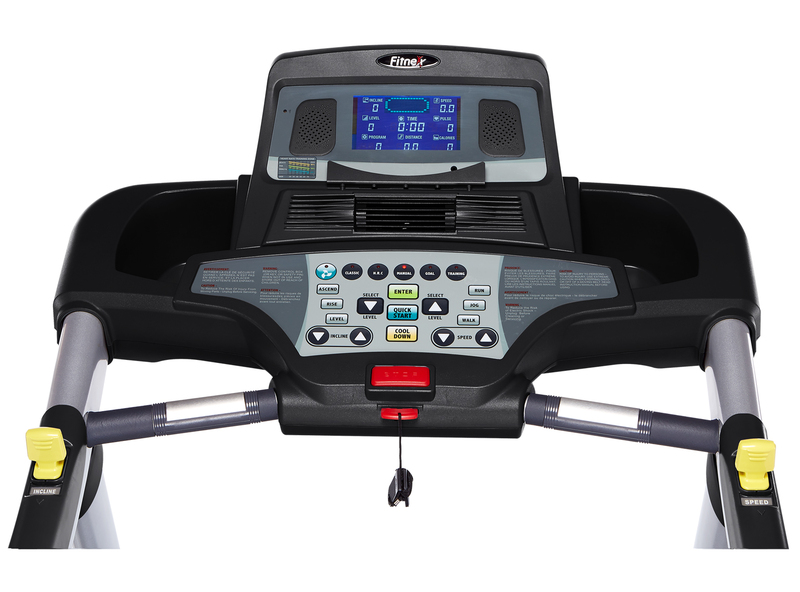 Including heart rate control and 26 built-in programs including two Custom Learn programs, it has everything needed for an effective cardio workout. All information is displayed on a Profile Matrix LED display console. 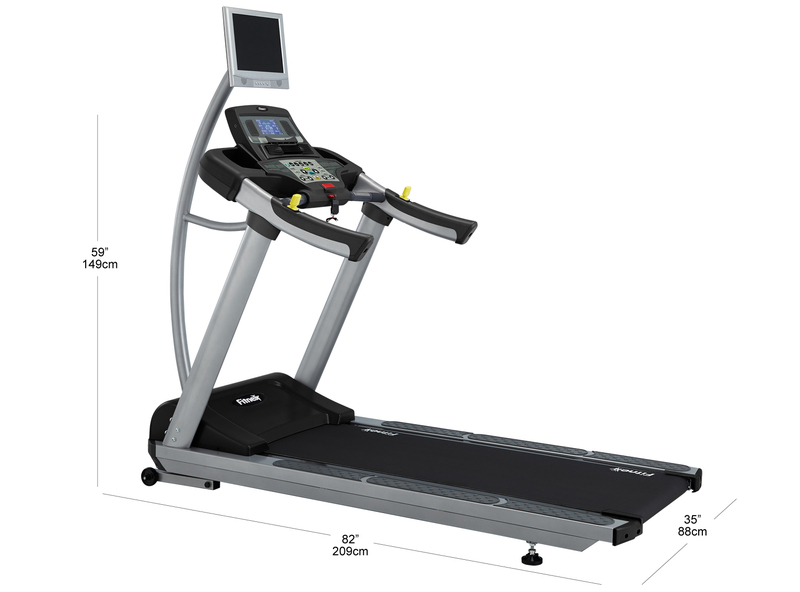 With a huge 152 x 56cm running area, a maximum speed of 20kph and user weight of 180kg, its AC Motor makes a great choice. Feedback includes elevation, heart rate, time, speed, calories and distance. 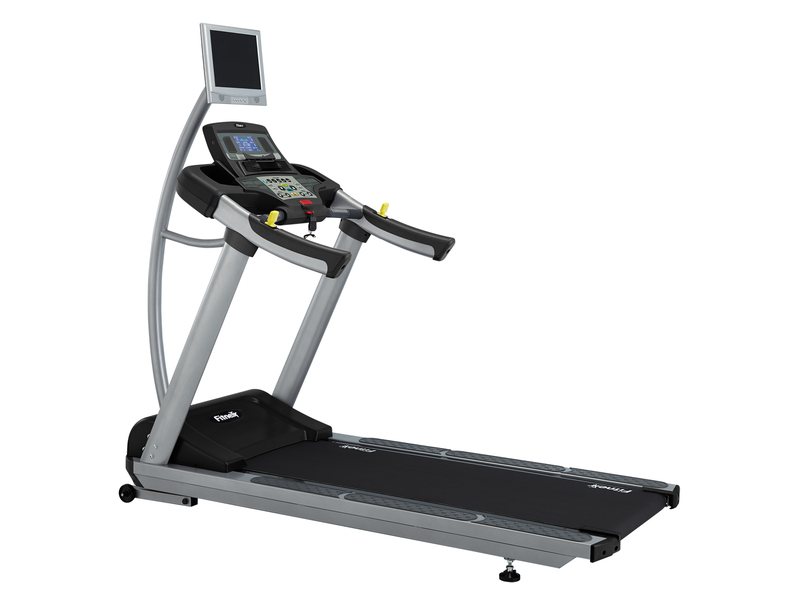 Features: Low step up height, durable console, heavy gauge steel construction, extra-large rollers, High density 4-ply urethane, multi-point deck suspension. Floor Space: 209cm x 86cm / 82" x 34"